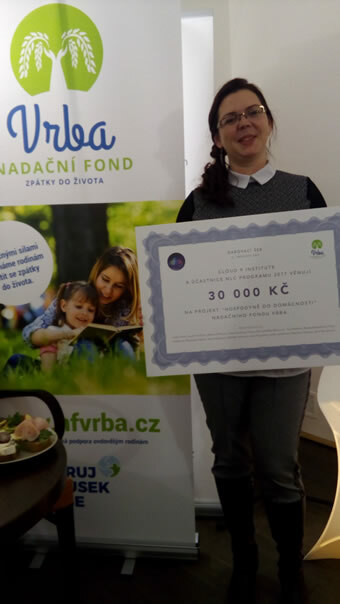 PONNY KIDS gave 3.000 CZK to VRBA foundation. This institution helps families where one of the parents died. 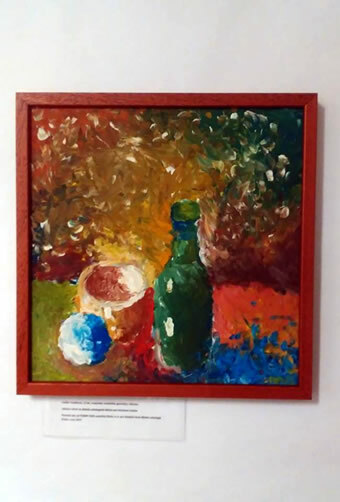 This is a painting by Ivuška Turečková, 14 years old student of a grammar school in Ostrava. She is just undergoing treatment in the Oncology Clinic in Brno because of a larynx carcinoma. Having bought this painting PONNY KIDS mateřská škola s.r.o. supported KRTEK The Fund of Child Oncology. PONNY preschool cooperates with MISE NADĚJE student non-profit association. This organization ensures help to those who can't help themselves. It means seriously ill children and generally everyone who was caught in a very difficult situation. The organization carefully considers where its assistance should be directed to be effective and fulfill its purpose. PONNY preschool has involved its children in particular projects that help seriously ill children. Our goal is long-term cooperation and assistance to families that must cope with a disability of their children and their subsequent severe social adaptations. We have chosen MISE NADĚJE because it acts in Brno and we are persuaded that help in the local area is the best one and make really sense. Another reason is that the founder does his job very responsibly and with all his heart.